Greetings! Hi I am Karin Andrews and I am the Title 1 teacher. I taught Special Education Teacher for four years at OCES. I have been teaching since 2005. My first career was with Delta Airlines for 18 years. During my time at Delta Airlines I was a Flight Attendant and a Flight Attendant Instructor. After my time at Delta Airlines, I started my second career as a paraprofessional for one year at Colham Ferry Elementary School, while I finished my masters degree at Piedmont College. 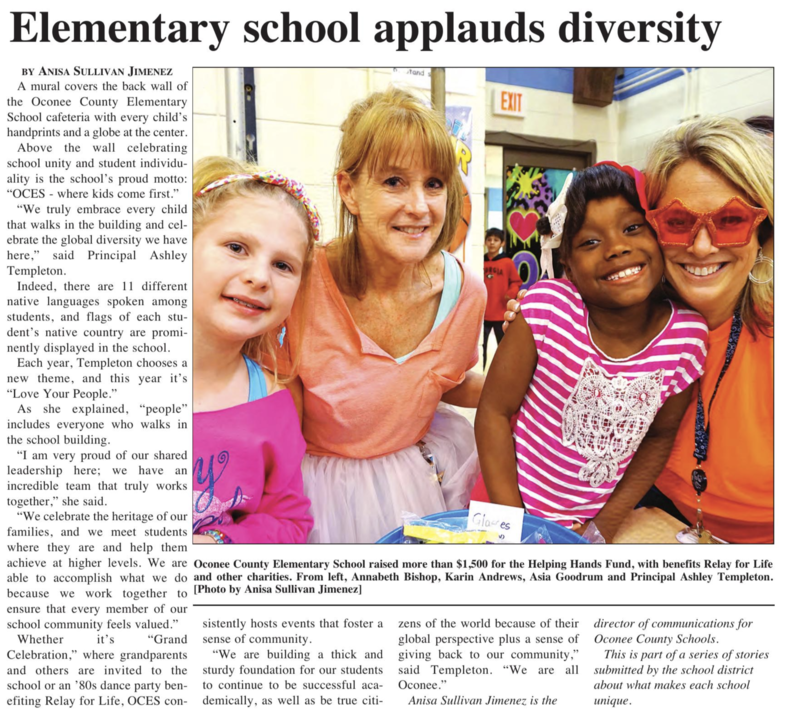 I taught 6 years in Clarke County before teaching at Oconee Elementary School. I love everyday watching my students learn and gain confidence in themselves. I believe every student should remember their school years as a positive, fun time in their life. My role is help them discover who they are and what they are capable of doing.